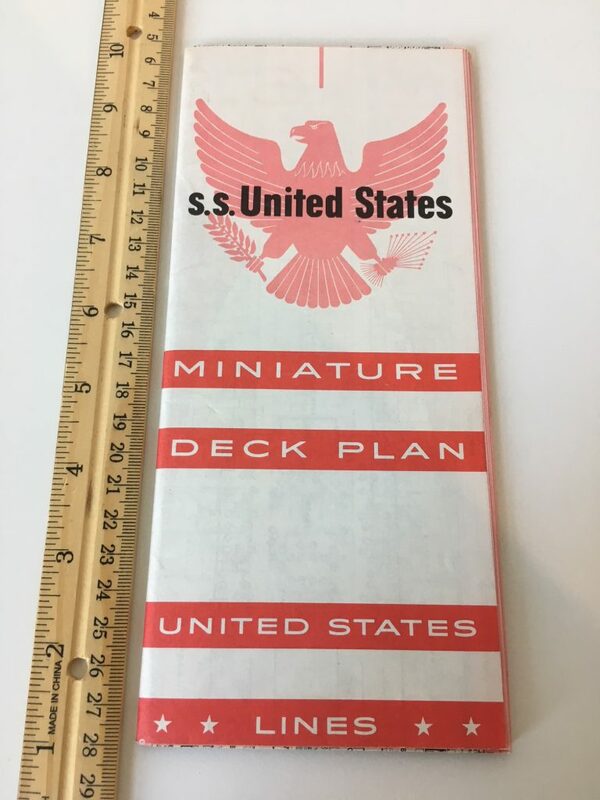 Wonderful miniature deck plans for the Big U … printed on medium card stock. Each side has top to bottom deck plans and contains a good selection of B&W interior photos. Very good condition … thought a tiny bit yellowed.